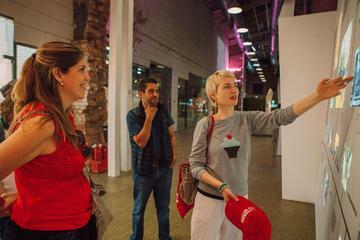 Delve into Moscow’s thriving modern art scene and hip urban culture on a 3-hour walking tour. With an expert local guide, explore some of the city’s flagship arts spaces and artisanal hotspots. Visit ArtPlay, an former factory turned contemporary art hub; explore the galleries and installations at the Winzavod arts complex; dive into a rare vinyl collectors’ shop and more. As you walk, hear about Moscow’s cultural landscape from your guide, peruse arty shops and enjoy a snack and drink at the city’s only vegan café, a true hipster hangout.